Steinbeis Malaysia model aims to provide an additional industry-focused platform to stimulate industry-academia collaboration. Kuala Lumpur: The launch of the Steinbeis Malaysia Foundation has started on a good footing with the signing of six Memorandums of Understanding (MoUs) with Universiti Putra Malaysia (UPM), Universiti Malaya (UM), Universiti Teknologi Malaysia (UTM), NanoMalaysia Berhad, Air Go Pte Ltd and Cresol Premaze Sdn Bhd. The event was officiated and witnessed by Minister in the Prime Minister’s Department YB Dato’ Mah Siew Keong at Agensi Inovasi Malaysia’s (AIM) Innovating Malaysia Conference 2014, Kuala Lumpur Convention Centre. AIM Chief Executive Officer, Mark Rozario, said the Steinbeis Malaysia Foundation has access to 79 public and private institutes of higher learning, 16 research institutes and more than 600,000 registered companies in Malaysia. “Three transfer centres – the Steinbeis-UPM Biotechnology Transfer Centre, the Steinbeis-UM Transfer Partnership in Engineering and Nanotechnology, and the Steinbeis-UTM Technology Partnership with the Institute of Bioproduct Development of UTM – will be set up as part of the foundation’s first foray into creating many more projects and collaborations that will propel innovation and productivity for Malaysia,” he added. Steinbeis will also provide its repertoire of services to NanoMalaysia, a company specialising in the commercialisation of research and development into nanotechnology; Air Go, a company that is currently carrying out research on nanomaterials to be utilised in aircraft passenger seats; and Cresol Premaze, a producer of agriculture-based health products. Steinbeis Malaysia Foundation, an initiative of AIM, is a non-profit organisation governed by a Board of Trustees comprised of renowned individuals from government, industry and academia. Executive Director of Steinbeis Malaysia, Dr Abdul Reezal Abdul Latif, said the Steinbeis Malaysia model aims to provide an additional industry-focused platform to stimulate industry-academia collaboration from a market-driven perspective. Steinbeis will also work closely with the Malaysian German Chamber of Commerce (MGCC) to invite German-based companies in Malaysia to participate in this exciting venture and collaboration. The model is adopted by Malaysia to build bridges between industry and academia to promote effective cooperation by making knowledge and technology sources accessible between these two parties. “Companies in Malaysia can benefit from outsourcing innovation and knowledge transfer to researchers, professors or subject matter experts in order to improve their products or services. Strategically outsourcing innovation using the most current technologies and management techniques can put a company in a sustainable leadership position. “Leading companies have lowered innovation costs and risks by 60 to 90 per cent while similarly decreasing cycle times and leveraging on the impact of their internal investments,” he said. Among the services provided by Steinbeis Malaysia include providing consultancy for ad-hoc to comprehensive corporate projects with access to a network of specialists to provide export support. Steinbeis Malaysia will also leverage on the expert network that has been established by Steinbeis Germany. Steinbeis Malaysia will share pre-competitive research findings to small and medium-sized enterprises (SMEs) to foster innovation in the country, identify business opportunities, develop viable business concepts that will result in the implementation of a successful business plan, and provide evaluation and expert reports after each consulting service provided. In addition, Steinbeis Malaysia will also provide training and employee development models through its engagement with industry and academia. Steinbeis in Germany is located in the region of Baden-Württemberg. The economy of Baden-Württemberg is dominated by SMEs and is among the most prosperous and wealthiest regions in Europe with a low unemployment rate despite having relatively few natural resources compared to other regions in Germany. The state is home to the headquarters of a number of well-known enterprises including Daimler AG, Porsche, Robert Bosch GmbH, Carl Zeiss AG and SAP AG. There are around 50 countries worldwide that are using the Steinbeis model. Among them are the United States of America, Japan and South Korea. Malaysia is the only country in South East Asia that has established a legal entity of Steinbeis in the form of a foundation. 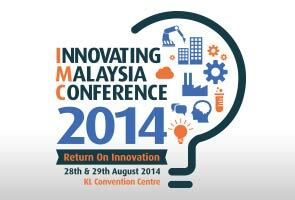 For more information, visit www.innovation.my.